Join the Library Associates for the annual Georgetown Writes event on October 11 from 4-6 pm in the ICC Auditorium, featuring notable Georgetown alumni in the field of writing. This year's program will feature women in writing and will include Debora Spar, Baker Foundation Professor, Harvard Business School and Rachel Vail, Award-Winning author and novelist, who will be in conversation with Professor John Glavin, Department of English. 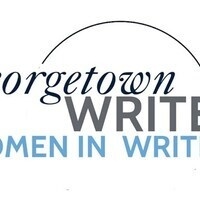 Georgetown Writes: Women in Writing is co-sponsored by the Georgetown University Department of English, Lannan Center for Poetics and Social Practice and the Georgetown Women's Center.